Can’t say I feel like it is an attractive face. However, it definitely comes across as being a bit higher end. Like a Buick Enclave or Chrysler 300 compared to a top end Traverse or Charger. Not anything worth a second thought but you know it’s a nicer car that someone got a deal on. Like a car you glance at outside and you just know that even the absolute base model is well equipped. So kudos on that success. I would say it does look higher end than the new Hyundai Tucson (which is a better looking car, but does come across as cheaper). The Macan-ness doesn’t come across. 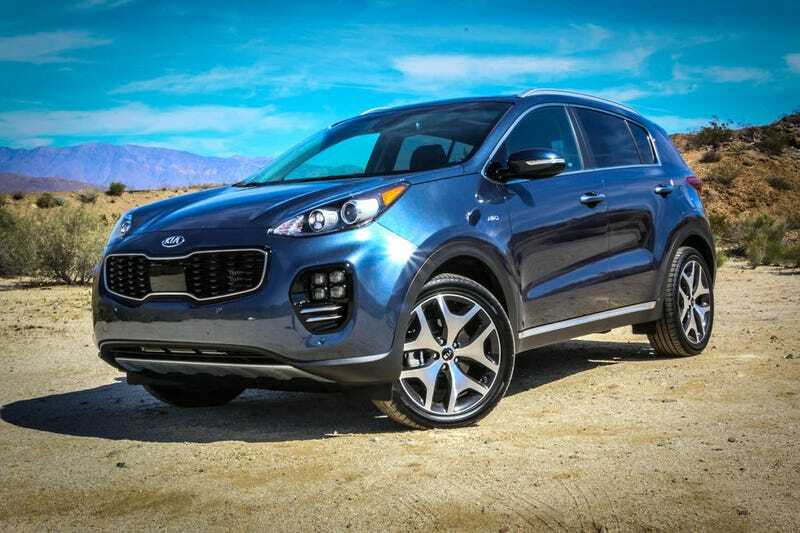 It looks extremely Sportage-y and that kills off most of the design grabs. Those three dot center lights make a world of difference to the look when illuminated.